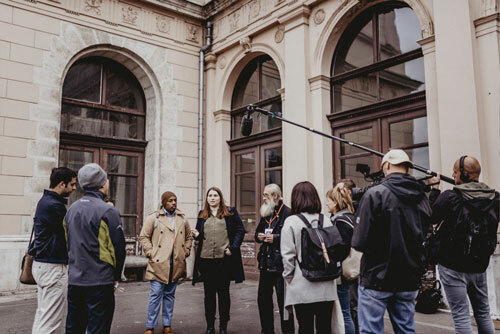 Invisible Zagreb is an educational tour that is based on tackling the problem of homelessness and life in extreme poverty in Croatia. The guides talk about their experiences in a simple and accessible way, showing the other side of Zagreb’s famous locations. The tour is based on voluntary donations, while each bit of support has an aim to improve the living conditions of the homeless. This project is a product of collaboration between Brodoto and humanitarian association “Fajter". Up until the point of publishing this article, more than 800 domestic and foreign guests of all ages attended the tour. Invisible Zagreb is becoming an interesting concept for businesses whose employees book the tour in search for a good team building experience. We are especially proud of the schools and their students who increasingly recognize the value of informal education and the importance of sensitizing to the most vulnerable social groups. Our efforts have also been recognized by the media. Internet portals, newspapers, television, radio - we’ve been everywhere. Written in over 30 newspapers and Internet articles, recorded for over 10 video reports and 3 documentary films. In addition to most of the domestic media, we have been a topic in globally influential media like AFP, Deutsche Welle, Lonely Planet. Have you ever wondered how does the everyday life of the homeless look like? How do they become homeless? How do they survive the winters? How do they cope with getting sick? 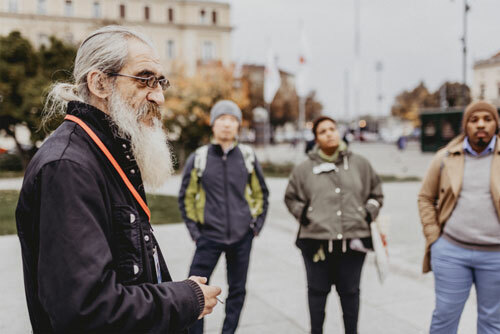 Find the answers through a striking lecture of former and current homeless people and experience a completely different tour. Book your place through our web, Facebook profile or Trip Advisor.